Suvarnalata Rao has trained with the sitar maestro Pandit Arvind Parikh, an eminent disciple of the legendary Ustad Vlayat Khan of Imdadkhani gharana. 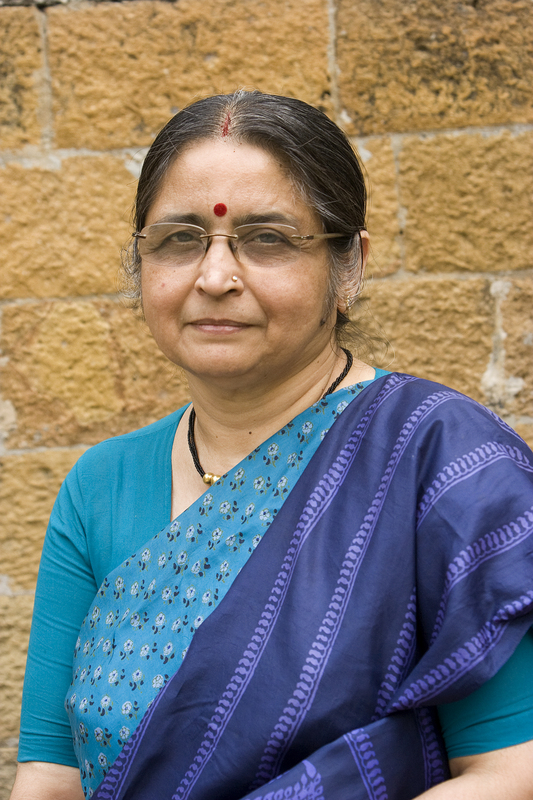 She studied science and musicology in Mumbai and did her Ph.D. at the S.N.D.T. University on the subject of “Acoustical Perspective on Raga-Rasa Theory” (publ. 2000). Currently, she works as a Research Scientist and heads the Indian Music Programming department at the National Centre for the Performing Arts (NCPA), India’s premier arts and culture institution. She is also a published author of various books, research papers and articles, notable among her publications are Raga Guide (U.K. 1999) and a series of monographs based on the annual seminars organised at the NCPA under the joint auspices of ITC-SRA. During 2005-2012, she was a co-editor of the Journal of Indian Musicological Society. At the NCPA, she curates and presents over 70 innovative events and festivals, representative of everything from classical to contemporary in Indian Music, throughout the year. Besides computational musicology, she also does research in music instruments. Wim van der Meer studied anthropology and musicology at the University of Amsterdam. He did his Ph.D. at the University of Utrecht in 1977 on the subject of “Hindustani Music in the Twentieth Century” (publ. 1980). In India he has received extended and intensive training in Hindustani classical vocal music since 1970 under the illustrious Pandit Dilip Chandra Vedi, one of the most knowledgeable musicians of the twentieth century, and himself a disciple of stalwarts like Uttam Singh (dhrupad of Tilwandi gharana), Bhaskar Buwa Bakhle, Faiyaz Khan and Alladiya Khan. Wim van der Meer presently teaches cultural musicology at the University of Amsterdam. He was co-author of the “Raga Guide”, a work that received international acclaim in more than 70 music journals and newspapers. From 2005 he has been appointed chief editor of the Journal of the Indian Musicological Society. Apart from Indian music he also does research in the field of Brazilian music. His work on computer assisted research in musicology is internationally known. Wim van der Meer’s activities can also be monitored on the websites below.